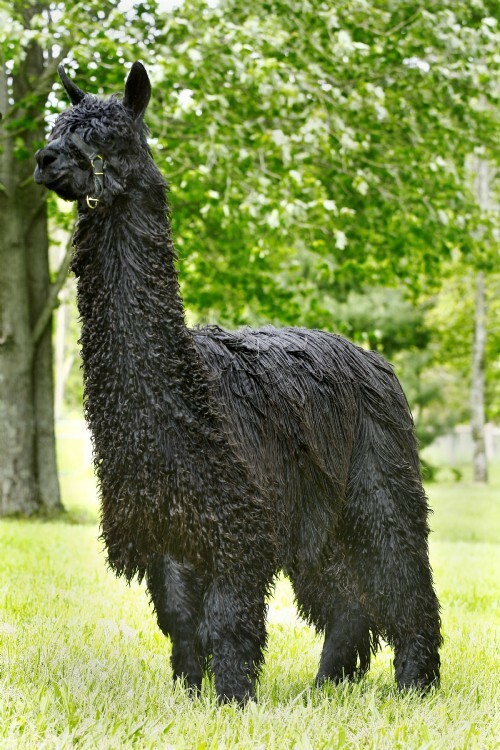 Sniper is one of the last Macygver Black breeding males left! His offspring continue to dazzle the show ring in every color! Sniper is currently CLOSED to outside breedings! We do have bred females available, or offspring if you are interested. Half interest is available to the right farm! Please Inquire! Sniper continues to produce Champion after Champion! Just for us in our first year of crias Sniper produced some amazing crias! Midnight Star is the splashy black and white daughter of Midnight Rose and Diamonte, both of whom are descended from PVA foundation royalty. Just like her mother, she possesses the same good mothering qualities. Her sire, Diamonte of PVA, is a 9-time Color Champion and sire of no less than 16 Color and Reserve Color Champions. 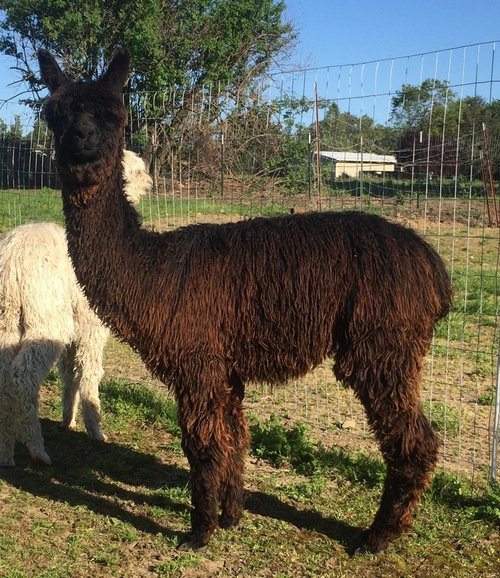 When we originally purchased Midnight Star, it was our hopes of producing an cria like Titus! Midnight Star in the past has produced Futurity Champs but we were hoping to produce it with a different Macgyver son, Sierra Bonita's Peruvian Sniper! Titus has a perfect head, conformation, and he is very proud! Holding his head up high to stand and say "look at me, aren't I pretty!" Titus will begin his show career Futurity 2017, come by and take a look at his gorgeous luster, density and 'oh ya' his physique.